How about a little taste of the Irish? 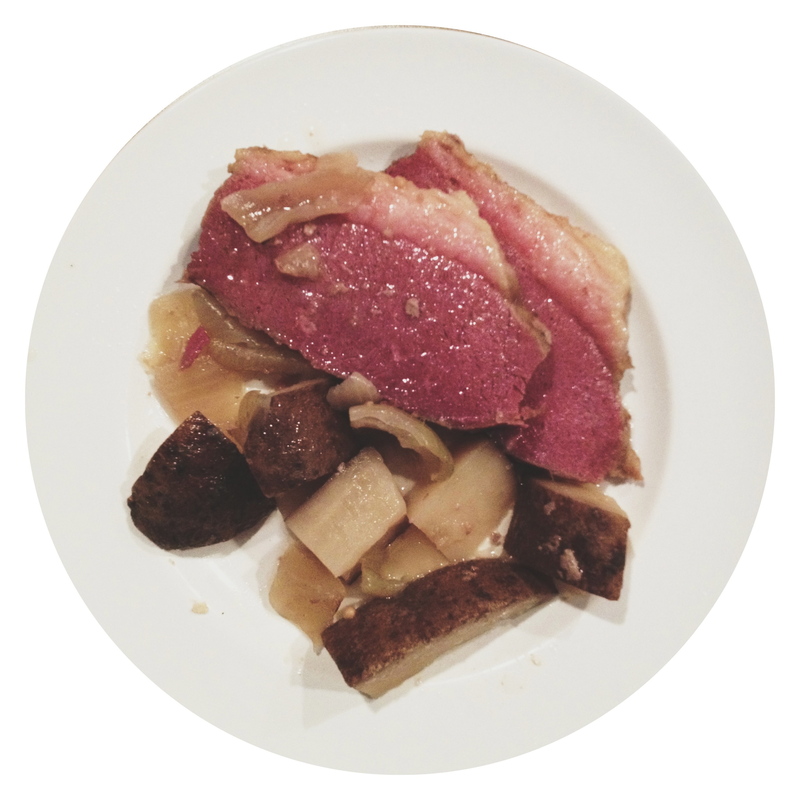 This corned beef brisket is a great ‘meat & potatoes’ meal that is the staple for any bachelor interested in cooking. Wash & cut up the potatoes into quarters (1/4th the original size) then place in the slow cooker. Cut the onion into quarters (1/4th the original size) then place in the slow cooker. Put the meat in the slow cooker. If the meat came with a seasoning packet pour the contents into the slow cooker. Start before bed and cook through the night. Will be done around lunch time the next day. Start before bed and cook through the night and the day, will be super tender by dinner. Start as soon as you get up and cook through the day. Will be done for a a late dinner. “Corned” brisket just describes the way its been cured. It has a very red color even after it’s cooked and tastes very salty. The longer you cook it the more tender it will be. Cut against the grain of the meat when you’re ready to serve it. If you don’t have a slow cooker you can put it in a roasting pan and in the oven on the lowest setting. Visit Bachelor Cooking often as we continue to put out more and more delicious recipes.